Many things have happened in the world over the last week but only a few have struck a chord. Here are the top trending stories on Google Nigeria in the last seven days. Anthony Oluwafemi Olaseni Joshua, British-Nigerian professional boxer, defeated Joseph Parker at the Principality Stadium in Cardiff on Saturday. This win adds the World Boxing Organisation belt to Joshua’s titles, moving him a step closer to becoming the undisputed heavyweight champion. Fans in Nigeria raced to Google for more updates about the fight, making ‘Anthony Joshua’ a top trending search term. Shortly after the Anthony Joshua fight, the Briton challenged Deontay Wilder, American professional boxer, to a match. Hours later, Wilder’s camp put out a statement accepting the challenge. The unification contest will decide the undisputed heavyweight champion of the world. Boxing fans in Nigeria searched Google to get updates about the upcoming two-fight contest. Khloe, Big Brother Naija 2018 housemate, emerged as the head of house after Saturday’s eviction. Khloe, who was voted back to the reality show a week ago, won the title through finding the golden egg in the weekly task set by Big Brother. Fans of the show took to Google to read more about the changes in the house, making ‘BBnaija 2018’ a top trending search term. 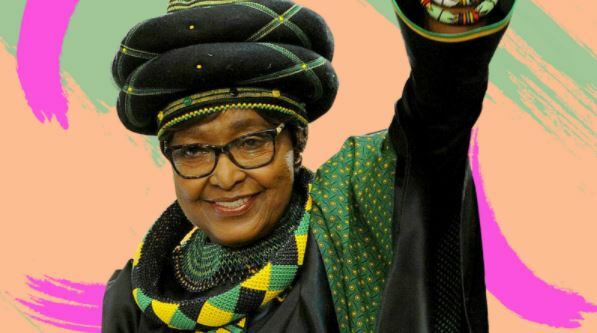 South African anti-apartheid activist and politician Winnie Madikizela-Mandela died in the early hours of Monday following a long illness, which had seen her go in and out of the hospital since the start of 2018. Winnie was an anti-apartheid activist, politician, and ex-wife of Nelson Mandela. She served as a member of parliament from 1994 until her death. Nigerians took to Google to read more about her legacy, making ‘Winnie Mandela’ a top trending search term. Maya Angelou, American poet, singer, memoirist, and civil rights activist, who died on May 28, 2014, was honoured by Google with a Doodle on her posthumous birthday. Before her death, she published seven autobiographies, three books of essays, several books of poetry and was also credited with a list of plays, movies and television shows spanning over 50 years. Nigerian users turned to Google to explore the history behind the Doodle.